Redefining the way C-Suite compensations are structured is the need of the hour for several HR leaders who work closely with the board members and stakeholders of companies. Executive compensation is coming under scrutiny in the global workplace. The C-suite compensation structures are evolving at a rapid pace as executive expectations and responsibilities continue to transform. During a fireside chat at the Total Rewards and Wellness Conclave 2019 organized by People Matters, leading talent leaders including Unmesh Pawar, Partner, Head of People, Performance & Culture at KPMG India; Ashish Anand, Group Head of HR at Religare; and Parneet Soni, Group Head of Total Rewards & Performance Management at Piramal Enterprises, looked at some ways in which CXO compensation structures can be redefined in the current economic scenario. Executive compensations at the top-level define the salary structuring across different levels in the company. Compensation structures vary depending on whether the company is operating in a developed or developing economy, whether the organization is a startup or an SME or a large-scale firm. The salary structures are shaped by the type of funding and stakeholders of the company--private equity or VC-backed or family-owned businesses have different ways of shaping their CXOs' salaries. The C-Suite compensation is based on a few variables including the fixed component, variable pay and long-term incentives. The charm of getting a seat at the C-Suite table is the promise of part-ownership i.e. Earnings-per-Share, stocks within the company and benefits from increasing the shareholders’ wealth. About a decade ago, the metrics used to track and report to the board members about a CXO’s performance were different. They were related to EPA or other data points that measured profitability, said Parneet Soni, Group Head of Total Rewards & Performance Management at Piramal Enterprises. Going forward in 2019, talent leaders are experiencing a shift in terms of the metrics used to assess executive performance. Regulating the pay-gap within the organization is essential and it starts from the C-Suite level. The talent leaders’ role is to ensure that the process is seamless and transparent. It is not about the amount of the compensation, rewards or benefits that a C-Suite leader receives. However, it is about ensuring that there is a mechanism in place to reward those CXOs who make the right decisions in the long-term interests of the company, said Soni about implementing the right regulatory techniques. “I think the focus is more around advising the board on putting in those frameworks rather than questioning the quantum of the CEO compensation,” said Soni. For Anand, the C-Suite compensation is one of the most important items of the restructuring agenda for talent leaders. “If you set the compensation right at that level, then it will trickle down,” he said, adding that just because the likes of Netflix, Amazon and Flipkart were able to amass a large amount of wealth for their shareholders, does not mean that the same context would apply to other companies including private-equity and VC-funded organizations or family-owned businesses. 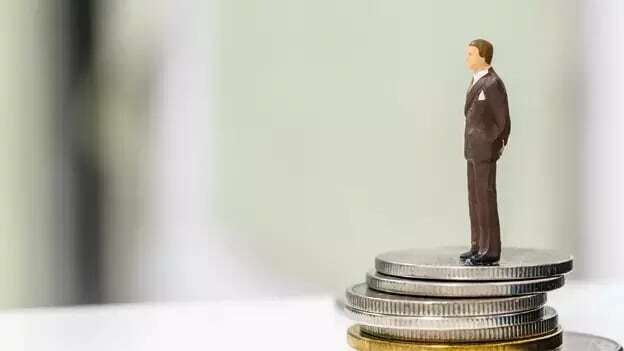 The consensus was that there is a need to find ways to regulate executive level compensation structures and at the same time implement metrics that correctly measure the CXO’s contribution to the overall enterprise value and wealth creation. This article is based on the session The big deal: Redefined C-Suite compensation structures at TRWC 2019, organized by People Matters.